Size of this preview: 397 × 599 pixels. Other resolutions: 159 × 240 pixels | 878 × 1,325 pixels. 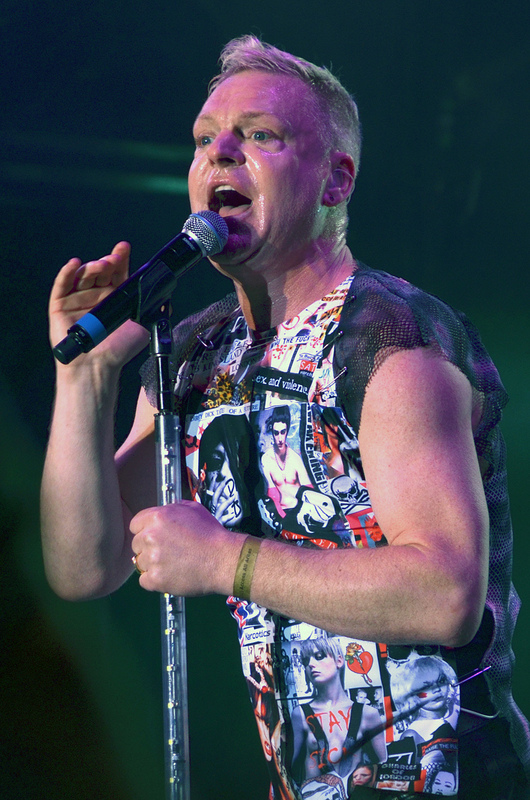 Erasure performed at Delamere Forest (near Chester), England, UK on 1 July 2011. Erasure were supported by the four-piece Foreign Office. Erasure were on form, they kicked off with "Hideaway", and just sang hit after hit, "Oh L'Amour", "Sometimes", "Victim of Love", "Love to Hate You", "Breathe", "Knocking on your Door", "Chains of Love", "Ship of Fools" and many more. This image, which was originally posted to Flickr, was uploaded to Commons using Flickr upload bot on 13 August 2011, 21:31 by Gohe007. On that date, it was confirmed to be licensed under the terms of the license indicated.